Archiving of single or multiple selected e-mails, whole folders or folder-structures as MSG, EML, PDF, PDF/A-1b, PDF/A-3b or combined as MSG/EML and PDF. 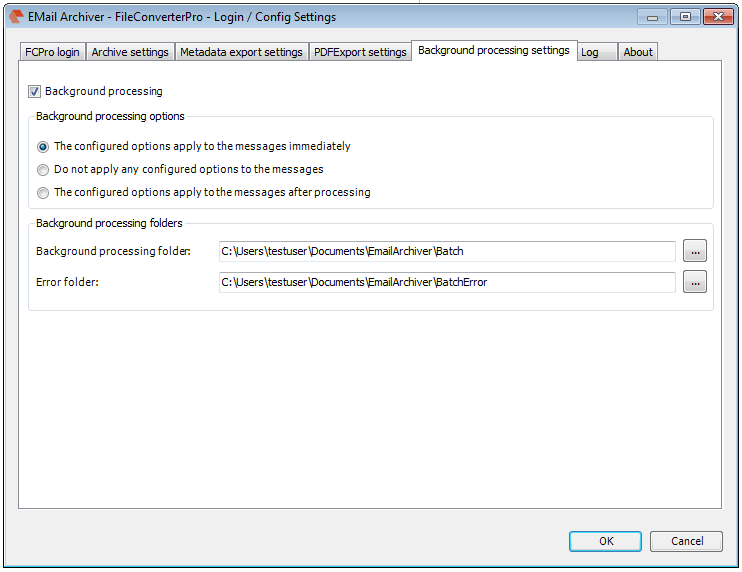 Conversion – of single or multiple selected e-mails or attachements to PDF or PDF/A. 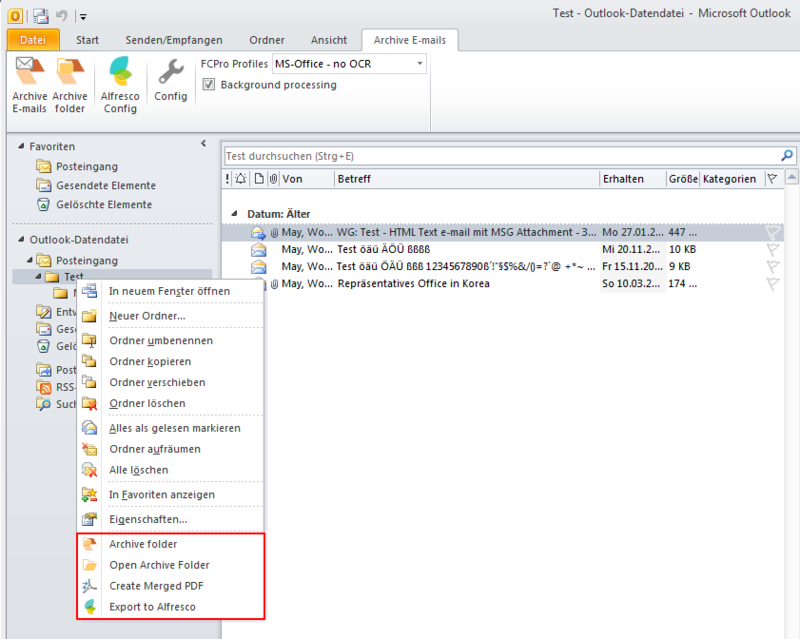 Create overall-PDF – multiple selected e-mails, attachements or Outlook folders can be converted to PDF or PDF/A and merged to an overall-PDF in a single step. 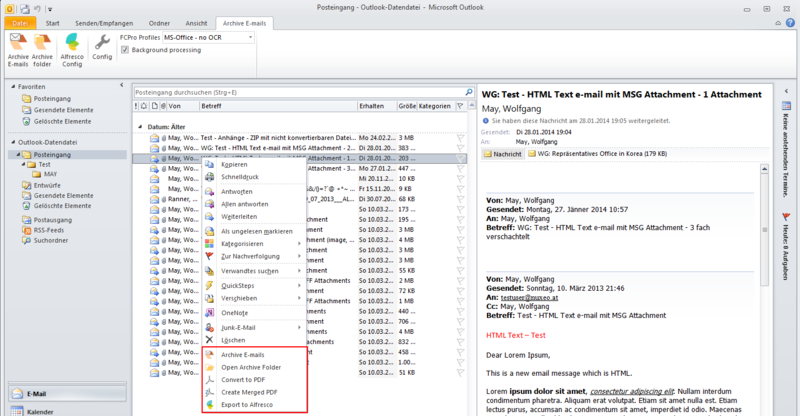 Direct integration into the MS-Outlook user interface as installable MS-Outlook plugin for the 32bit MS-Office versions 2007 / 2010 and 2013. Background processing – optionally the processing can take place in the background. With larger amounts of documents which should be archived or converted, the user is able to continue working while the processing runs in the background through a seperated service. Logging – Enables to log all processing steps in a log-file. 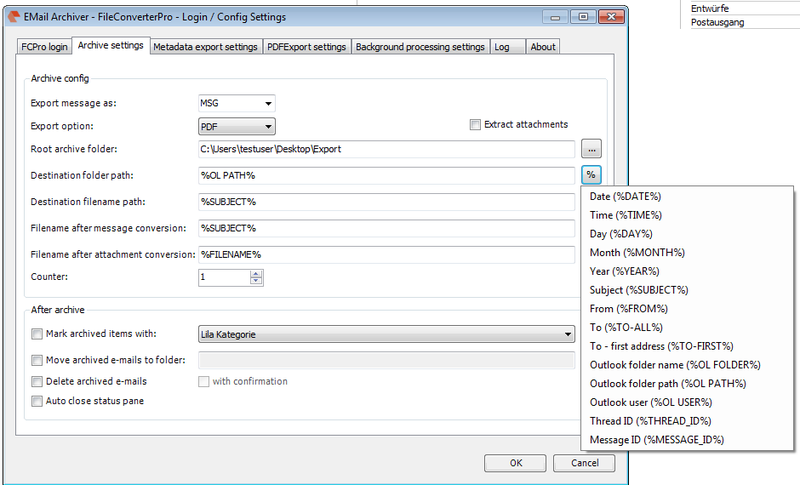 The metadata of the archived e-mails can be written into a XLS file (date, time, day, month, year, subject, from, to, outlook folder, outlook path, thread ID, message ID, parent thread ID, parent message ID, counter, PDF destination path, amount of attachements, names of attachements). 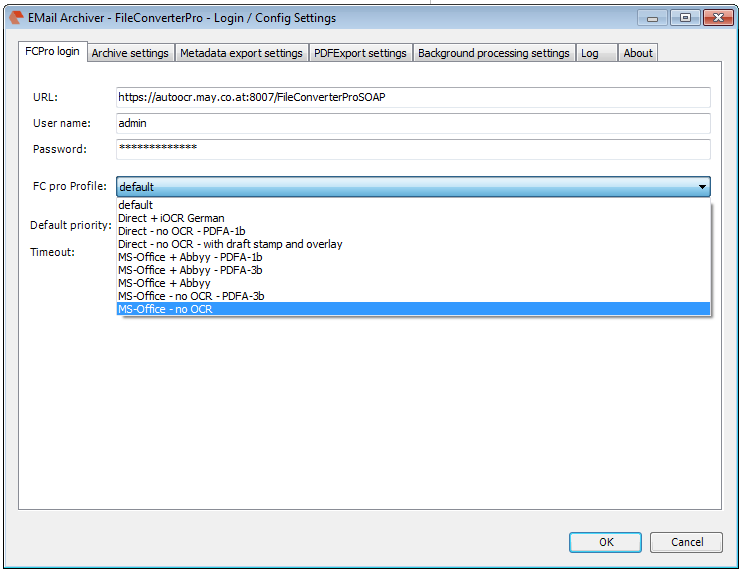 The conversion to PDF or PDF/A takes place remotely via the FileConverter Pro Server which is addressed through SOAP/REST (HTTP/HTTPS). 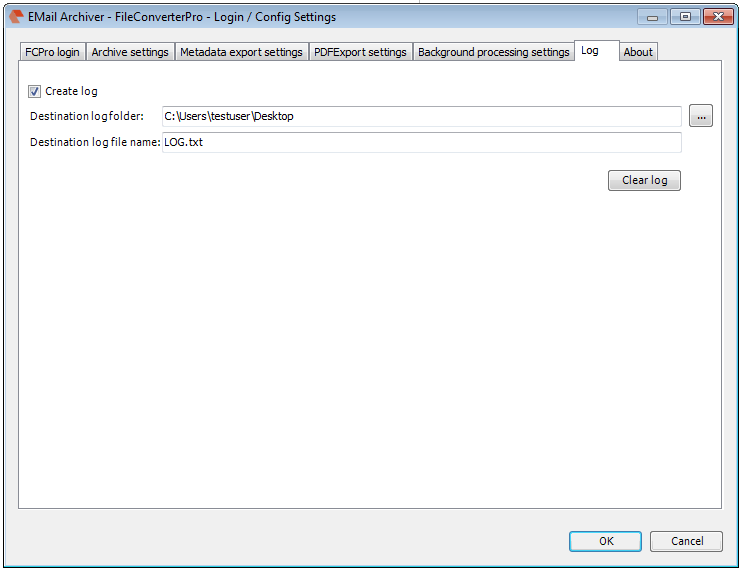 The FileConverterPro Server can be in the own network or be accessable hosted over the internet as service. 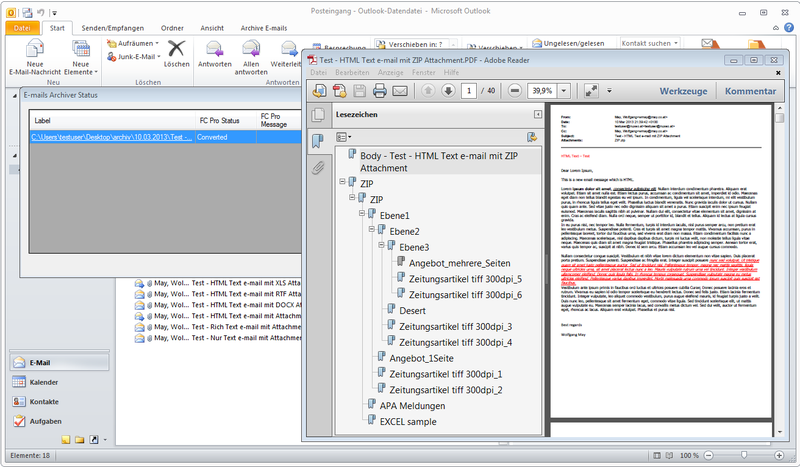 PDF/A-3b is supported as ideal format for long-term-archiving – with that the original e-mail (MSG) as well as all containing attachements are embedded compressed in the PDF in their source format and can be called from this container at any time and can be exported from there also. Ideal because the ISO normed document format is used for displaying, searching and printing and at the same time all the source documents stay preserved. 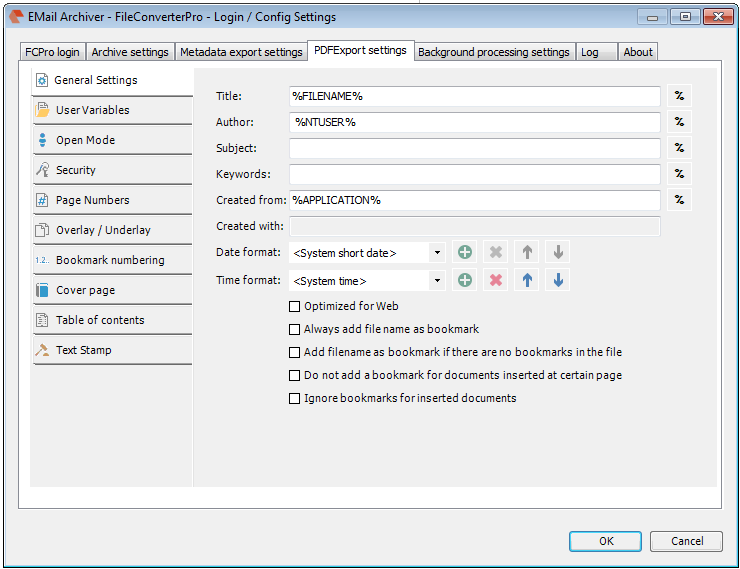 PDFExport settings – enable a multiplicity of additional functions for the created PDF documents – filling out of the PDF profile fields through variables, setting of the defaults for the opening of the PDF documents, PDF security settings – passwords, restrictions, pagination, overlay or underlay of PDF templates, numbering of the bookmarks, cover page with editor and use of variables, automated creation of a table of contents incl. editor, definition of text stamps. E-mail documents are container formats which in any case consits of the message (body) as well as optionally the attachements. 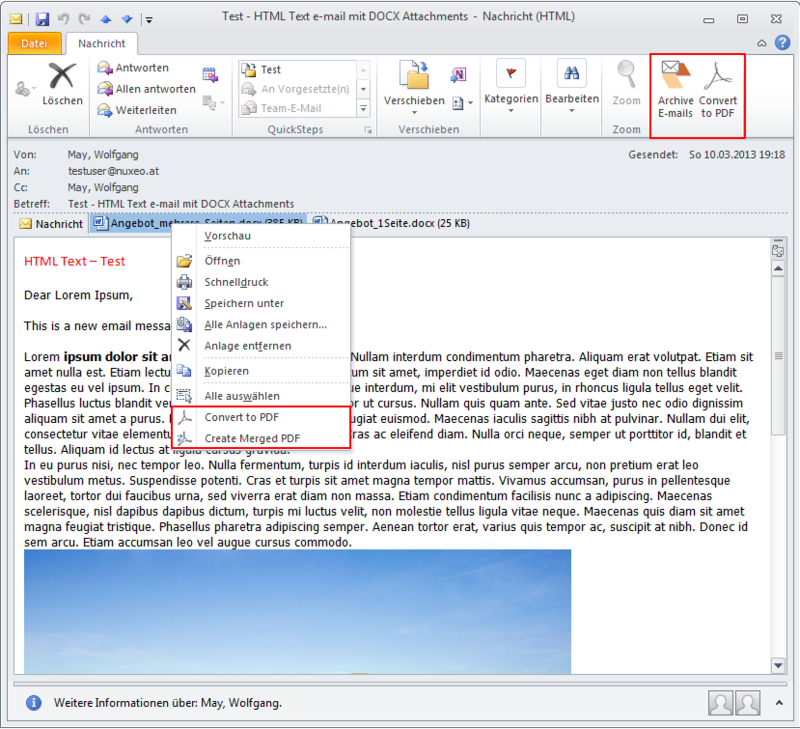 The body can be created in HTML, TXT or RTF format – the EMail Archiver converts all these formats – extracts metadata from the e-mail and creates the header information from it (from, date/time, to, CC, subject, attachements) for the first page of the PDF. Attachements can be e-mail messages (MSG / EML) themselves or any other document format. Therefor it can result in any depth of nestings. Also, e-mails can contain other container documents like e.g. ZIP, RAR or 7ZIP – these also could contain containers again or represent whole folder structures. The EMail Archiver is able to resolve all these nestings, convert them and merge them into an overall-PDF. With that the original structure gets pictured as PDF bookmark structure. Existing bookmark structures e.g. 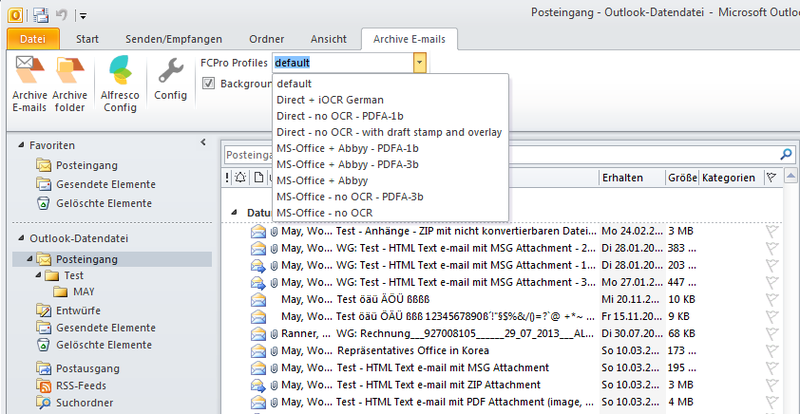 from MS-Word or PDF documents is taken over, the folder structures from e.g. ZIP containers as well. Not convertable document formats are ignored and if required a placeholder-page is inserted at it’s place. Images and scanned documents (e.g. TIFF, JPEG, PDF-image) can be converted to searchable PDF’s via OCR. With PDF/A-3b as output format, the source documents (MSG + all attachements) are embedded compressed in the PDF and therefor build an ideal base for the long-term-archiving. The ISO normed PDF/A-3b offers preview, searching and printing possibilities and additional all documents are embedded in the PDF in their source format and therefor can be opened or also exported from there at any time. For testing purposes the FileConverter Pro Testserver hosted by us can be used – it is set by default in the EMail Archiver after the installation. The existing AutoPrint print-action does offer a multiplicity of options and settings but on some printers it is quite slow in processing and outputting. For this reason we implemented the “QuickPrint / PrintServer” action which can be used alternatively – to do so you only have to add the new action and deactivate or remove the existing AutoPrint action. The function supports the direct local printout on a chosen printer as well as our PDF2Printer printserver. With the printserver the PDF is passed with the printing information – by which the computer is locally free again immediately because the printout runs through the Windows service or via an own central printserver. 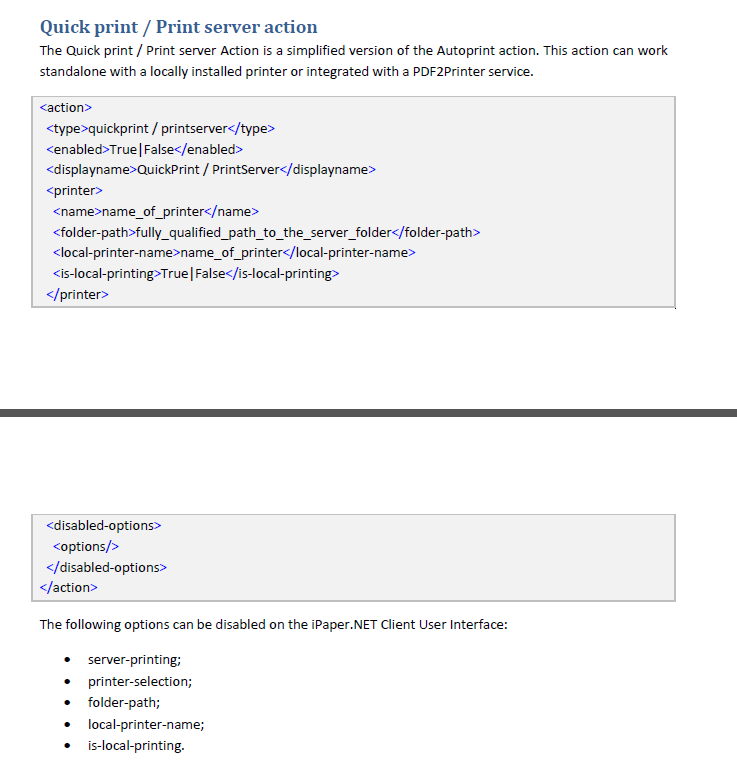 Like all other actions also QuickPrint can be controlled via XML commands. 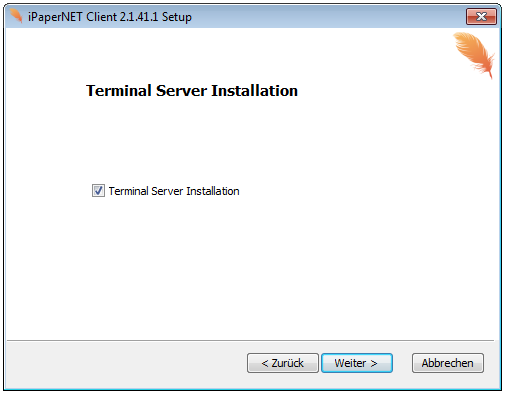 With the new setup option “Terminal server installation” – yes / no the AutoStart behaviour of iPaper can be determined. With the installation on a terminal server the licensing occurs via concurrent use – in which a license is “consumed” per started application. Until now the AutoStart Option is generally the same for each user, therefor on the terminal server the AutoStart can’t be used if not enough licenses are available and the users which wanted to use iPaper had to start it manuelly. If TS=yes is set the Registry key HKEY_CURRENT_USER\Software\Microsoft\Windows\Current\Version\Run is read out and checked next if there is a path registered or not. By default nothing is inserted here and therefor iPaper doesn’t get started automatically. But if the “AutoStart” option is activated in iPaper the path for the automatic start is registered here. With that iPaper doesn’t get started automatically. Only if the user activated the “AutoStart” option individually, the path is registered and the application get started automatically with the logon. If, at the setup, the terminal server option isn’t set, the setup automatically writes the path of iPaper into the Run Key of HKEY_LOCAL_MACHINE\Software\Microsoft\Windows\CurrentVersion\Run – iPaper.NET = <path>. With that, iPaper gets started generally for all users of the computer. 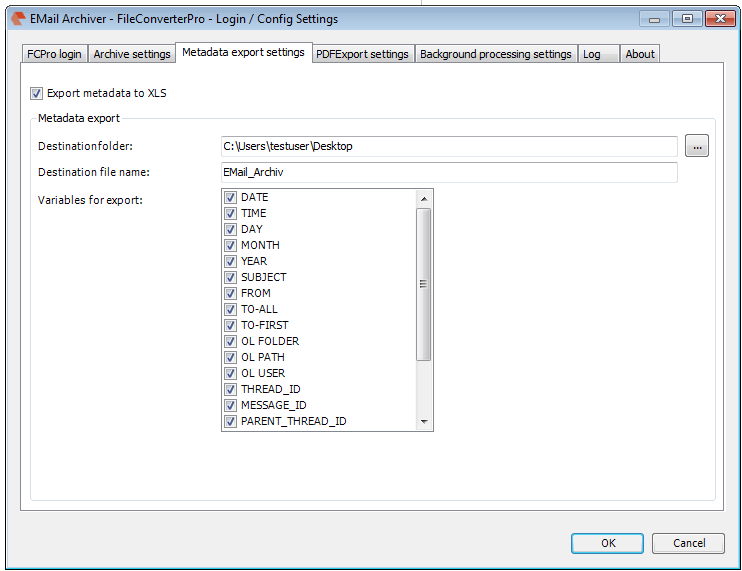 The AutoStart option therefor is active by default on normal workstations. Especially when using concurrent licenses on terminal servers and with the “silent” processing without user interface and without preview it has happened that more users had iPaper started than licenses were available – the user which were above this limit didn’t get an explicit hint for that and as a result a PDF document with a red “demo stamp” was created and possibly also sent out. Until now the whole preceding processing had to be finished before the next printing process could be started. If no attentions was paid to this it could happen that some documents were “swallowed”. iPaper as client version is in principle not concepted for a mass- or batch-processing. For this scope there is the iPaper server as Windows service with folder-monitoring. But there are also situations where it could be necessary to enable a parallel processing e.g. if an (e.g. 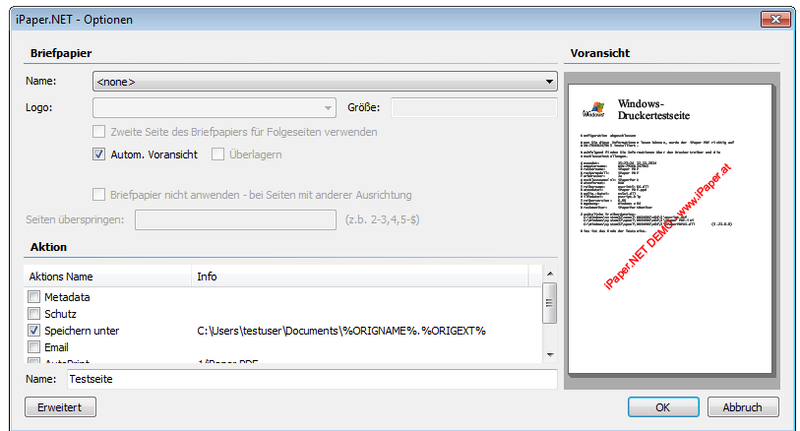 AutoPrint) action takes longer and the user already creates the next document, no documents should be “lost”. Now it is possible to start multiple outputs shortly after eachother without “losing” documents. iPaper gets opened parallelly and a parallel processing takes place. With that all documents which are created are also processed.